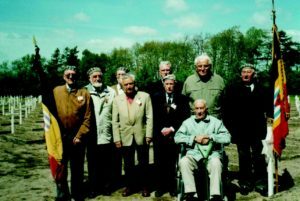 A number of Belgian survivors of KZ Neuengamme united in the months after their return in an organisation of ex-political prisoners of the concentration camp Neuengamme, under the motto: “Never to be forgotten”. They deposited the statutes of their new association already in October 1945. They saw it as their duty to answer the many letters written by fathers, mothers, children and families who were searching for information about their beloved relatives or friends. From 1952 they published a magazine: “N’Oublions Jamais!”, The forerunner of our current magazine. 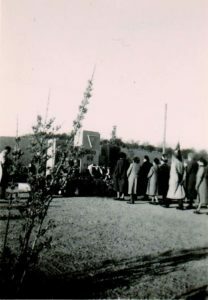 About 3,650 Belgians were deported to KZ Neuengamme, of which about 150 were women. In the death books of Neuengamme, there are 1570 Belgians registered, so they did not return home, but there are certainly more. 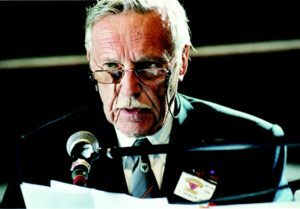 Victor Malbecq (1925-2015), former chairman of our amicale and of the AIN, made it his life work to trace the Belgians who ended up in the KZ Neuengamme. For years he worked on a list with the names and details of these prisoners. He could eventually register 2486 names. 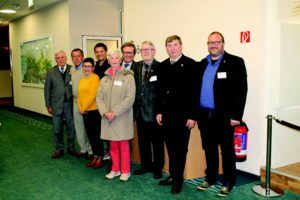 It is the task of the current association to continue his work, by keeping his list of names up to date and to keep memory of these people who suffered the horrors of the concentration camps alive. Annual pilgrimage to Neuengamme and the satellite camps at the beginning of May and participating in the official ceremonies. Annual meeting for all the members. Publication bilingual (Dutch/French) magazine 4 times a year.